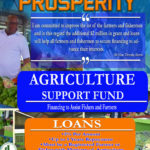 BASSETERRE, St. Kitts, July 17, 2018 (Press Unit in the Office of the Prime Minister) – Prime Minister Dr. the Honourable Timothy Harris released figures from the Development Bank of St. Kitts and Nevis that indicate a strong interest in the recently launched multimillion property ownership financing programme for Government employees and the Agriculture Support Fund. 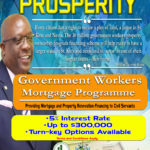 Prime Minister Harris announced that the property ownership programme has received 97 applications to date to facilitate home improvement work, property fencing, construction of new homes and the purchase of land. 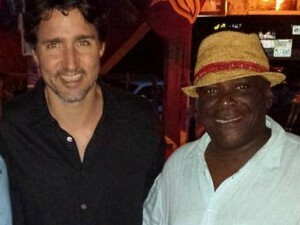 “We are encouraged by this strong and positive response by our Government employees,” the prime minister said during his press conference held earlier today (July 17). Under this programme, civil servants will be able to access up to EC$300,000 to facilitate property ownership in the country and to upgrade homes at a 5 percent interest rate. 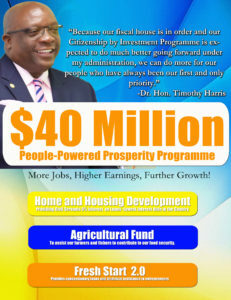 Prime Minister Harris, who is also Minister of Finance, reiterated that no minister of Government is eligible to apply and receive funding under the Government’s employee property ownership programme. The Agriculture Support Fund at the Development Bank has received even stronger interest from members of the farming and fishing communities, with some 193 applications received to date. Both the property ownership financing programme and the Agriculture Support Fund were launched on June 1, 2018.